pride & prejudice — halthegal. faerie tale feet painting inspired by the bennet sisters in jane austen's pride & prejudice. 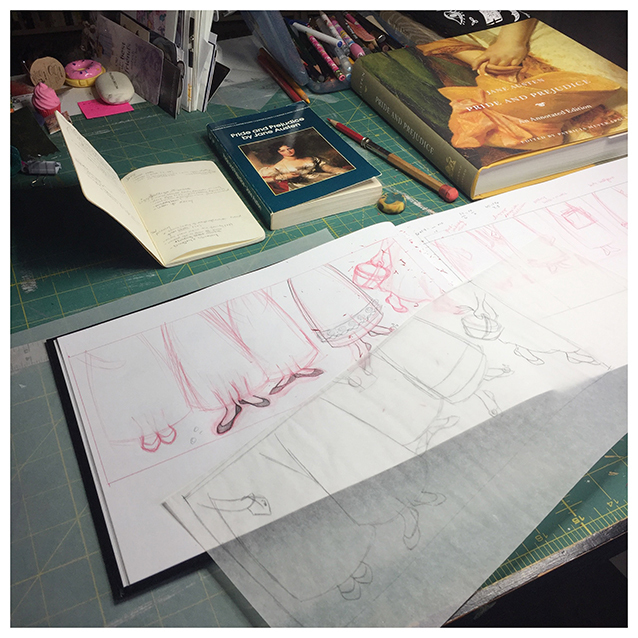 have a look at the research and painting process photos and then i’ll share a little bit about the bennet gals. original gouache on watercolour painting available framed for $525. contact me if interested! limited edition signed prints available HERE on my etsy site! & its matching greeting card HERE. & this image is even available as a luxe bookmark here!! the original gouache & ink painting on watercolour is available framed in natural wood for $525. contact me if interested!